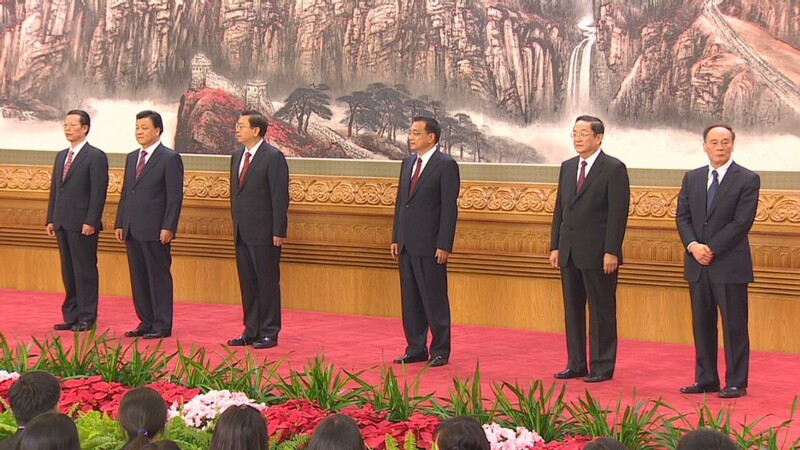 China's ruling Communist Party named seven men to its powerful Politburo Standing Committee Thursday in a highly orchestrated ceremony that emphasized party unity and held out little immediate prospect of bolder economic reforms. 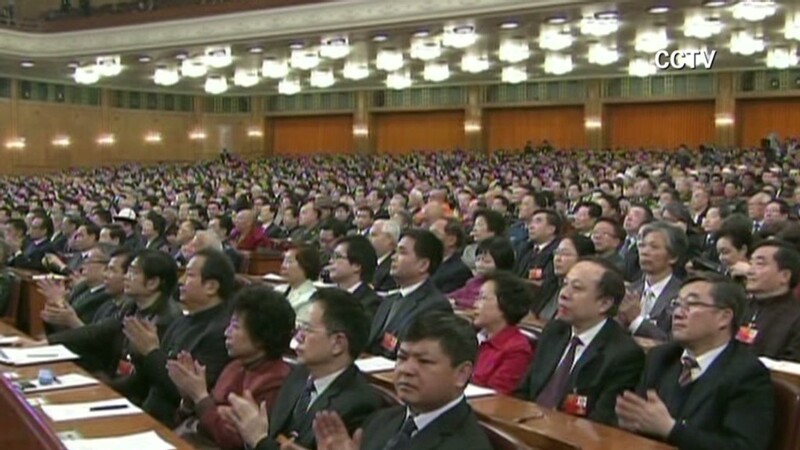 The ritual, which took place in Beijing amid heavy security, caps the 18th Communist Party National Congress. The selection of the seven, who can serve for a decade, provides a glimpse into the thinking of party officials and contains hints about government priorities as well as the political machinations behind the choice of China's next generation of leaders. Xi Jinping, a chemical engineer with a prestigious pedigree, was named as the next party boss and tapped to be China's next president. He will also assume control of the military. As expected, 57-year-old Li Keqiang was named Xi's top deputy, and will likely replace Premier Wen Jiabao in March 2013. Zhang Dejiang, Yu Zhengsheng, Liu Yunshan, Wang Qishan and Zhang Gaoli fill out the group, which wields tremendous influence over policy. Wang, described by former U.S. Treasury Secretary Henry Paulson as "decisive and inquisitive," will leave his economics-oriented post and move instead to head China's anti-corruption efforts. Several other dark horse candidates, some of whom were thought to favor more rapid economic reforms, were left off the committee. Allies of outgoing President Hu Jintao also appeared to lose out -- with other political factions picking up spots in the group of seven. Mark Williams of Capital Economics said the new team's makeup suggests sweeping economic policy reforms will not be forthcoming. "This is not the standing committee that reformers might have hoped for but neither should it be a cause for despair," Williams said in a note. Wang's move could mean much of the economic portfolio will fall to Premier-designate Keqiang, who is expected "to put greater emphasis on promoting social welfare rather than economic liberalization," he added. In a speech delivered before members of the press, Xi said the standing committee would work to improve the lives of average citizens. But the new leadership inherits a country facing challenges over the environment, the rule of law and economic inequities. In the most recent quarter, China's government reported that economic growth slowed to 7.4%, well short of the breakneck pace enjoyed by the world's second largest economy in recent years. At the heart of these concerns is a set of structural economic problems, which require reforms that the previous leadership -- divided over policy -- was unable to complete. China's economy is too reliant on investment, a trend that has distorted the country's housing market and placed great emphasis on exports. State-owned enterprises, which dominate entire sectors of China's economy, are often the recipients of favorable loans and treatment from the government. While regulators have pursued some changes, the rules governing the country's equity markets make raising capital difficult for some businesses. "Unbalanced, uncoordinated and unsustainable development remains a big problem," Hu said last week. "The tasks of deepening reform and opening up and changing the growth model remain arduous." The path forward, most analysts agree, requires China to move toward an economy in which consumption drives growth -- no easy task. Local party officials have long depended on investment spending to maintain clout -- a pattern that reform would undercut. The shift could also undermine the breakneck pace of economic expansion to which China has grown accustomed, at least in the short term. Ratings agency Standard & Poor's said it did not expect the new leaders to make any major changes in policy direction but rather continue with existing reforms aimed at sustaining annual growth above 7%. "We believe the central government will try to move to a fiscal model that will allow a more transparent and sustainable financing of local government investment projects," it said. "We also expect the increased attention to narrow income disparity and rebalance the economic growth structure to continue." Debate: Is China a friend or foe? Chinese officials and regulators often use the word "reform" to describe their plans, but the term is deployed broadly, and top party leaders insist any reform will have to follow a Chinese path. Last week, Hu set forward twin economic goals. The first was a doubling of the country's 2010 GDP by the end of the decade -- a figure roughly in line with previous projections. The second goal -- a doubling of per capita income over the same period -- is more notable. State news agencies said it was the first time China's government had issued a goal for individual income. An earlier version of this article incorrectly reported China's 2010 per capita income as $4,423. In fact, that figure refers to gross domestic product per capita at current prices.